The hot new Image/Skybound horror series EVOLUTION from writers James Asmus, Joseph Keatinge, Christopher Sebela, and Joshua Williamson with artists Joe Infurnari and Jordan Boyd is being rushed back to print in order to keep up with increased customer demand. EVOLUTION #1 will remain available for purchase across all digital platforms, including the Image Comics website (imagecomics.com), the official Image Comics iOS app, Comixology’s website (comixology.com), iOS, Android, and Google Play. 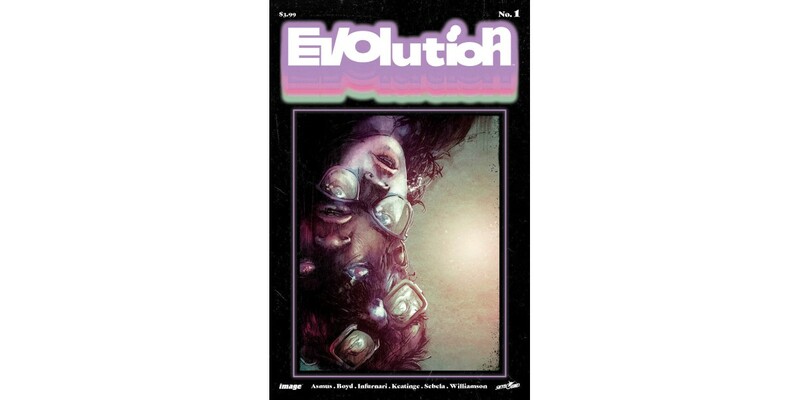 EVOLUTION #1, 2nd printing (Diamond Code SEP178856) and EVOLUTION #2 (Diamond Code OCT170668) will be available on Wednesday, December 20th. The final order cutoff deadline for comics retailers is Monday, November 27th.